For Eva Koťátková (born in Prague in 1982), the evolution of the self is a tightrope walk between internal and external pressures. 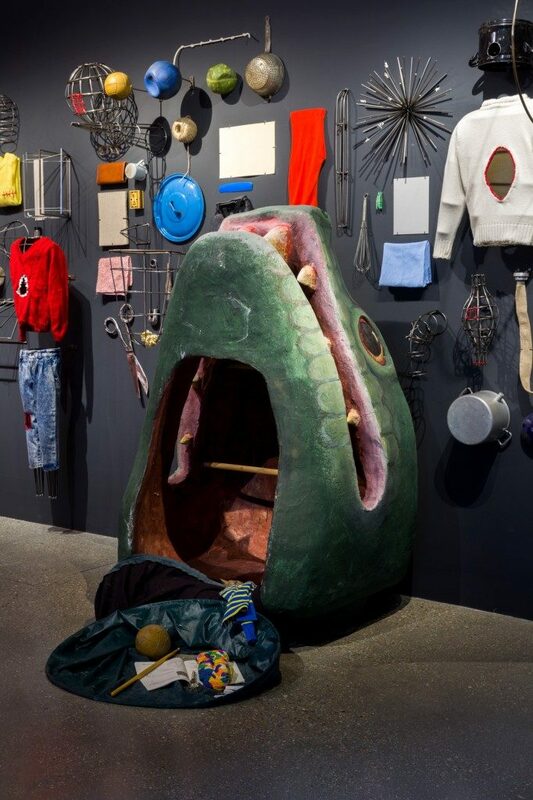 Featuring a multitude of objects generating an expansive installation, her exhibition on the lower level of the 21er Haus revolves around the film Stomach of the World (2017), which forms the fulcrum of this thought. The 46-minute film is shown in a loop in the exhibition, starting every hour anew. In a surreal and almost humorous way, Stomach of the World shows the world from the perspective of children who perform various exercises. ‘Eva Koťátková has developed a distinctive visual language for the subject of social constraints on individual escape movements. Formally, she borrows from the theatre, thereby satisfying the current interest in the transfer from performing to fine arts. Her subjects and her artistic strength make Koťátková one of the most respected artists of her generation,’ explains Stella Rollig, CEO of the Belvedere and 21er Haus. ‘Eva Koťátková’s film Stomach of the World bristles with allegories and metaphors that have something to say about the world today. The film is part of an expansive installation in the 21er Haus, which seems to swallow and incorporate the visitors into the stomach of the world,’ according to Severin Dünser, curator of the exhibition. In Stomach of the World the protagonists imagine the world as a kind of body that internalises and transforms objects and subjects. The children draw their own bodies, an X-ray produced with pen on paper, to document a journey through their insides. Air that others have already used is rebreathed. Speaking becomes a kind of eating, with the teeth biting the words during articulating. The joint autopsy of a stomach becomes a lesson in unlearning empathy. During a puppet show, a stomach is filled to the brim with props. A snake is prepared for a game, the stomach sewn, a plan formulated. During the subsequent hunt, the mouse is always unlucky. The insides of the snake are explored, an exit sought and found. It is hung upside down in the hope that the organs might arrange themselves better in the body. An epidemic is played out until not a single body moves and it is time to apply oneself to somewhere new. The gaze is fixed on a rubbish dump – the open stomach of the world. Things are recycled, the actors become things – to the advantage of both. Koťátková designs the notion of a world as a stomach, which in turn is filled with stomachs and the things that they devour. A giant rubbish dump on which things pile up, rot and seep. A machine in the machine. It is about a world in which the ability to empathise is lost, interactions between micro and macro spiral out of control and communication about reality no longer coincides with everyday experiences. A world in which upbringing is equated with manipulation and victims and perpetrators are nothing but roles. The body is stuck in the body of the world and a snake surges up in its stomach. It is about the politics of eating and being eaten.